Dog Dynamix has been training dogs and helping owners for over 10 years. We are dedicated to improving the quality of life of each owner and dog we work with. We seek to optimize the relationship of each dog and owner through trust and respect, which results in a happy and obedient dog. If you have worked with other trainers and didn't get the results you need, call us! We are dedicated to helping dog owners achieve what they never thought possible. Our system creates a dog that WANTS to obey you because they LOVE to train. Our dog training is comprehensive. We pride ourselves on training techniques you can incorporate into your everyday life. We train dogs of all sizes, ages, and breeds. Whether you are looking for puppy training, basic obedience, problem solving, or want to play dog sports, we're here to help. Let us show you how to control nuisance behaviors quickly and for good with our no-nonsense dog training techniques that are simple and fun to learn. We train with one goal in mind: Success! We want to be sure you are getting the results you need and that the training lasts a life-time. Our dog training is positive, practical and effective. 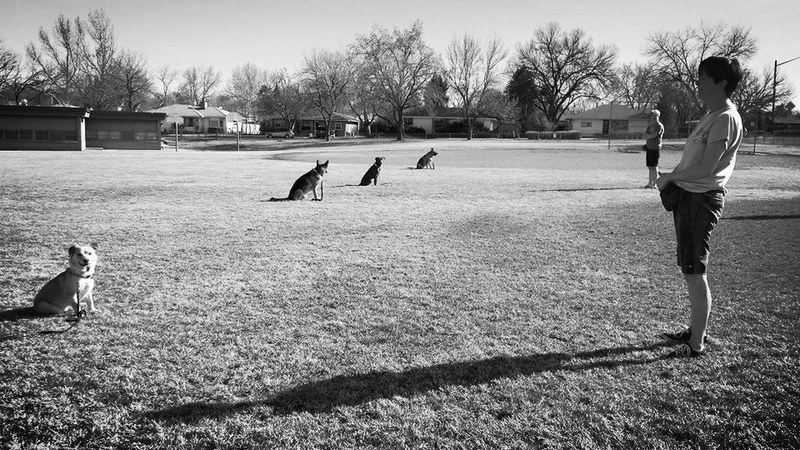 Denver Dog Dynamics can help you be proud to take your dog where ever you go. We share our lives with dogs because we want to enjoy their companionship, go places and do fun stuff with them. A dog who pulls on the leash, barks at people or other dogs, and doesn't listen to our commands makes outings stressful or even embarrassing! Dog ownership is easier and more enjoyable when your dog is well trained. Did you know training your dog can save you money? Statistics show that dogs with training cost less over the life of the dog. Dogs without training are more likely to run away, get injured (or worse) by cars, get into fights with other dogs, or even bite, all of which can end up costing you tens of thousands of dollars. Investing in one of our training programs will make the next 10 years with your dog amazingly easy. Our system produces a dog who wants to learn and be obedient to their handler because they LOVE the training. Dogs love exercise and problem solving, and training gives them both. Training is a fun activity for your dog that is mentally and physically challenging. Dog training will tire them out much faster than running, jogging, walking, or hiking. Everyone knows a tired dog is a happy dog. But a well exercised dog without training simply creates a bad-mannered dog with great stamina! Training gives your dog purpose and confidence because they know what's expected of them, and how they fit into the family. Dog training reduces anxiety, calms hyper-activity, and provides the proper structure for socialization. Do you love your dog but wish they had better manners? We can help your friends, family and neighbors wish their dog was as good as yours! Are you looking for dog boarding? Our board and training is the perfect get away for your dog while you are away on vacation or on a business trip. Don't let them suffer from boredom in a kennel with a bunch of other barking dogs. We exercise their mind and body, and they go home happy, and better behaved! We serve the Denver Metro Area and beyond including: Lakewood, Arvada, Littleton, Centennial, Wheat Ridge, Lafayette, Erie, Golden, Morrison, Evergreen, Conifer, and Boulder.